The government says it wants the UK to be the best place in the world to build and own an electric vehicle. To support this, it needs the National Grid to be Smart, with a finely tuned set of tools available to balance demand and supply. 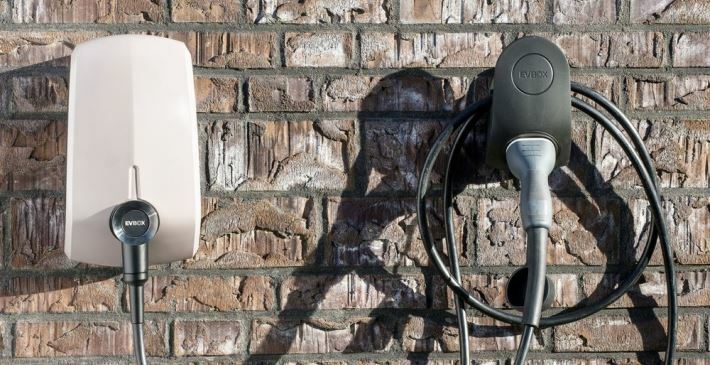 With this in mind, the government has announced that from July 2019, the grant of £500 per charge point available for home and workplace charge points will only be given to people installing Smart Chargers to charge their electric car. A Smart Charger is one that can be remotely accessed and is capable of receiving, interpreting and reacting to a signal. In other words it's one that can turn on when there is an excess of electricity in the Grid, and turn off when there isn't enough electricity. The homeowner will still control the charge point, but the aim is that electricity market pricing will incentivise them to charge at off-peak times when they will be soaking up excess electricity in the Grid, and not during peak times when electricity is in short supply. It is possible that the chargers could also even out the minute-by-minute fluctuations in the electricity distribution network caused by variances in renewable energy production and in demand. How much electricity does an electric car consume a year? The average electric car does about 3 miles per kWh. We are told that the average car drives 12,000 miles per year, and thus needs around 4,000 kWh of electricity per year. That's about the same as the average house. So for most households, switching to electric car(s) is pretty much going to double domestic electricity use, or triple it in two-car households. With no plans to build any new central power stations, other than Hinkley Point C (due on line in 2025), it's clear that as a nation, we really are relying on 'Smart' to keep the lights on. In theory you only need to install a dumb charger to charge your electric car at home. This is essentially a socket on a dedicated circuit. if you have solar PV, 'smart' allows you to divert excess solar PV into your car (we recommend myEnergi's zappi charger. The chargers from both suppliers are currently eligible for both the home charge point grant and the workplace charging grant. We will obviously need to check that they are smart enough for the grant when the rules change in July 2019. In the mean time if you want to install an inexpensive dumb charger and you want to claim the grant, the window of opportunity is closing. You need to get your electric car and install your charger in the next five months. We do currently also offer dumb chargers, for example from EVBox or from Rolec. Note that the install still needs to be compliant with the new Wiring Regulations (18th Edition) which brought in some significant changes for electric car charging points as of January 2019. If you would like a quotation for the installation of an electric car charge point within 50 miles of Reading, please get in touch.